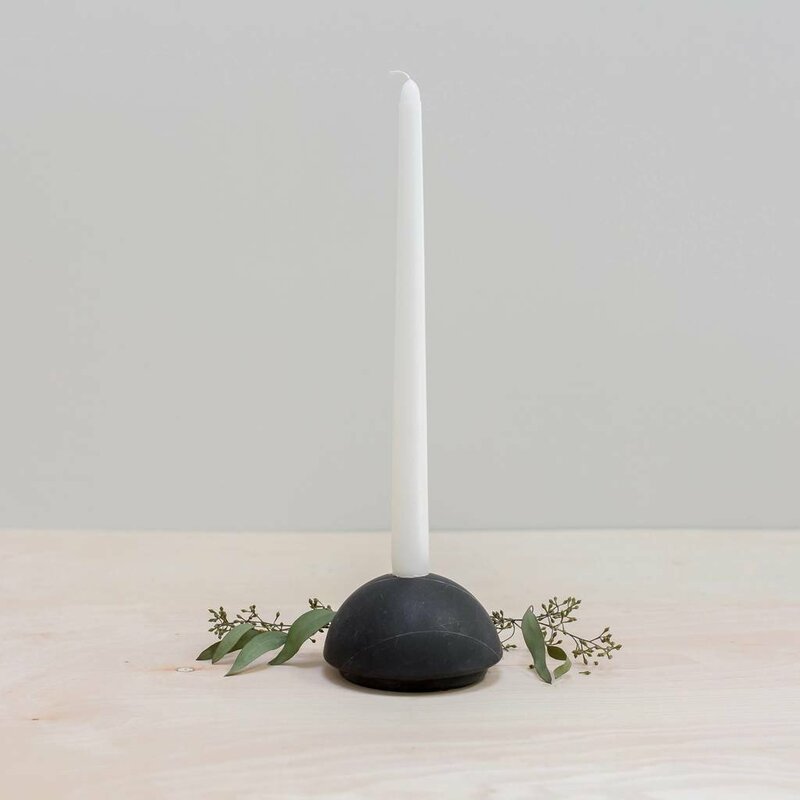 Add a bit of drama to any shelf or tablescape with this sculptural candle holder. Handcrafted from matte black marble, this petite beauty is perfect styled on a bookshelf or as an addition to any tablescape. And, it’s even better all wrapped up and given as a gift (Hint, hint). Hand-carved by master artisans in Puebla, Mexico, each piece is made start-to-finish in a fair trade environment. No two are alike — expect variation in base tones and white veining.